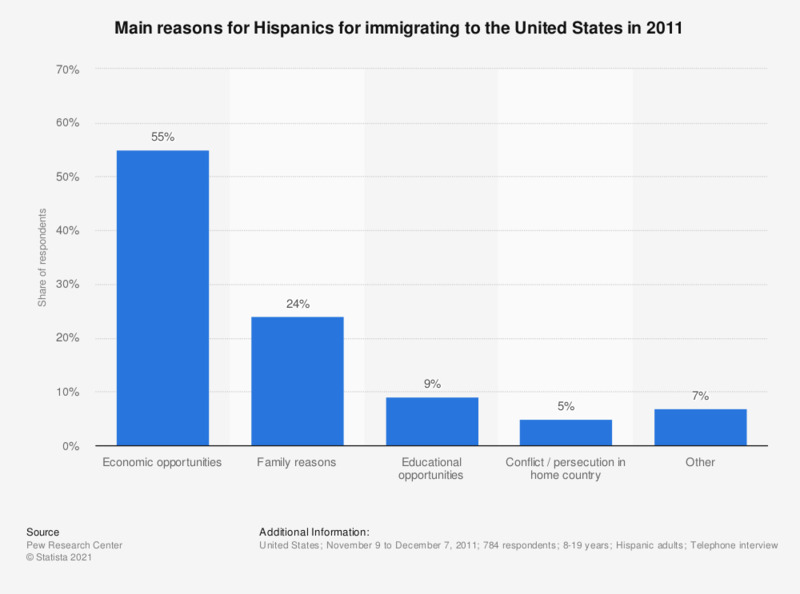 This statistic shows the results of a survey among adults Hispanics in the United States in 2011 on their main reasons for immigrating to the United States. 55 percent of Hispanic respondents stated that economic opportunities were the main reason for immigrating to the United States. Responses of "don't know" and "refused" are not shown. Statistics on "Hispanics in the U.S. Part I"
Distribution of English language proficiency among foreign-born adult Hispanics in the United States as of 2015, by years in the U.S.English proficiency among foreign-born Hispanics U.S. 2015, by years in the U.S.
Distribution of English language proficiency among foreign-born adult Hispanics in the United States as of 2015, by years in the U.S.
Hispanics in the United States: Which term do you use to describe yourself most often? Do you as a person with a Hispanic background prefer the term "Hispanic" or "Latino"?